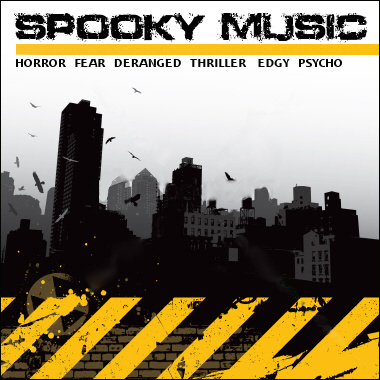 Spooky Music is a collection of Creepy and Dramatic music composed by the award-winning musical duo, Tracey and Vance Marino. This California couple presents bone-chilling music for your TV, Film, or Psycho Nightmare productions. For Horror, CSI crime scenes, or Hitchcock, Spooky Music has you covered! Thrills, chills and terror keep you on the edge of your seat. Even Freddy's blood runs cold when he hears music as disturbing as his evil plotting and murderous rampages. Haunted melodies, creepy crawlers, scary cauldrons, and orchestral menace await you -- the kiddies love it.